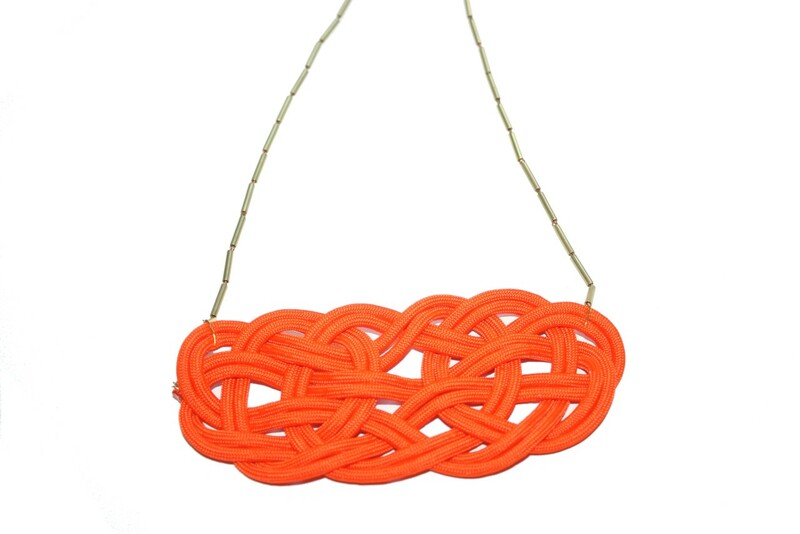 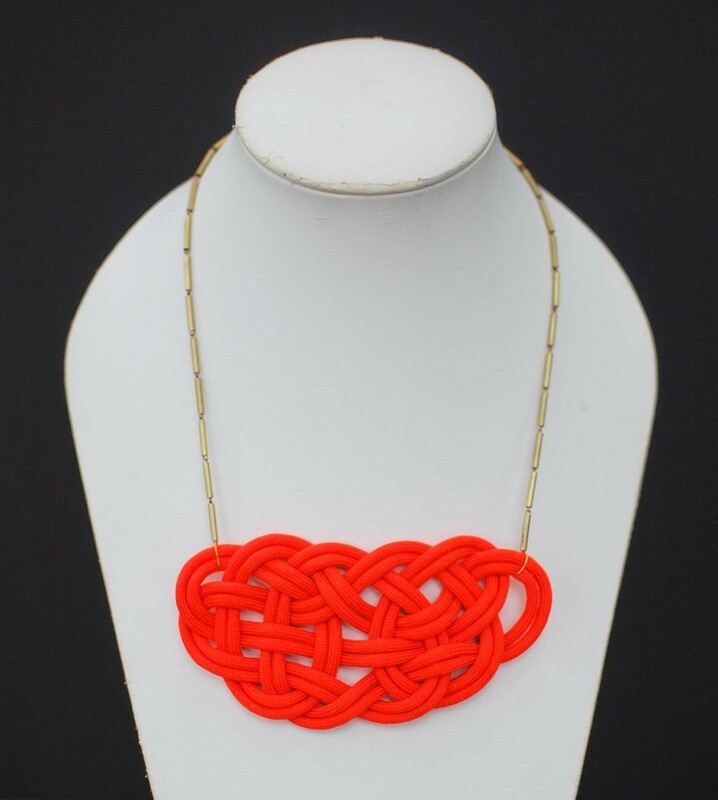 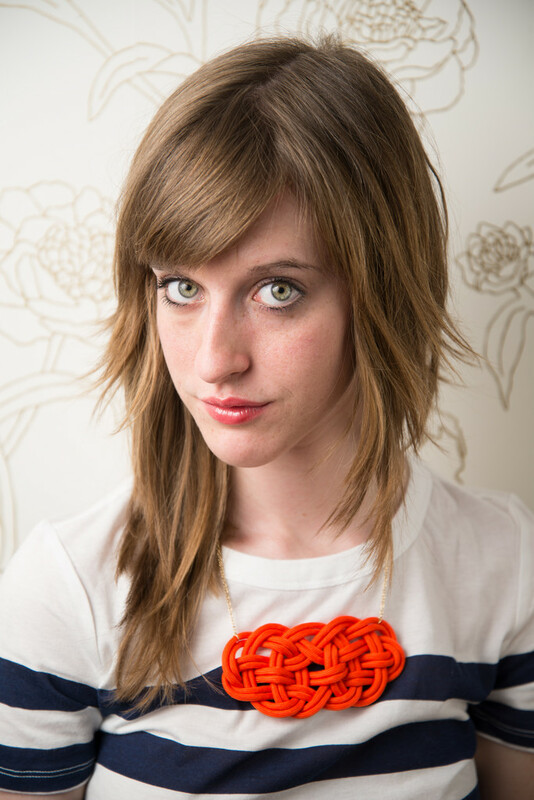 Orange cord is intricately hand woven into a horizontal knot. Knot measures 5" x 2" inches, on vintage brass tube chain 16" inches and adjustable with lobster clasp. 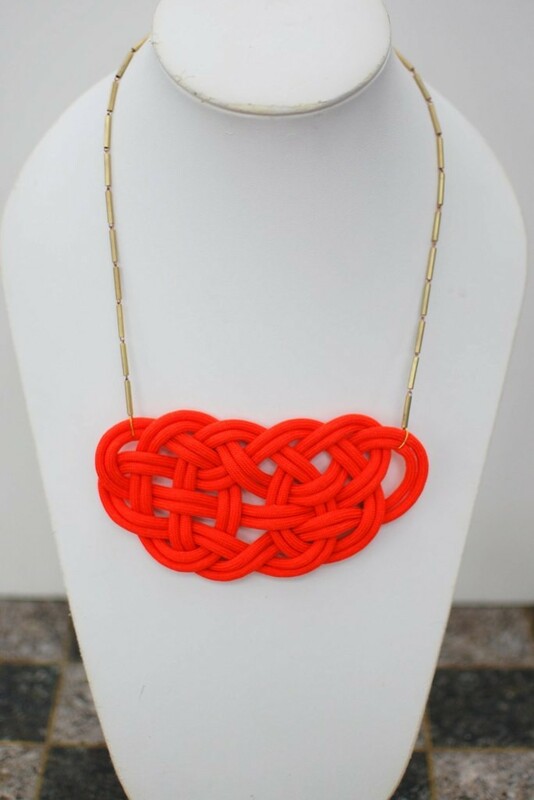 This is the perfect piece to add texture and color to your little black dress.